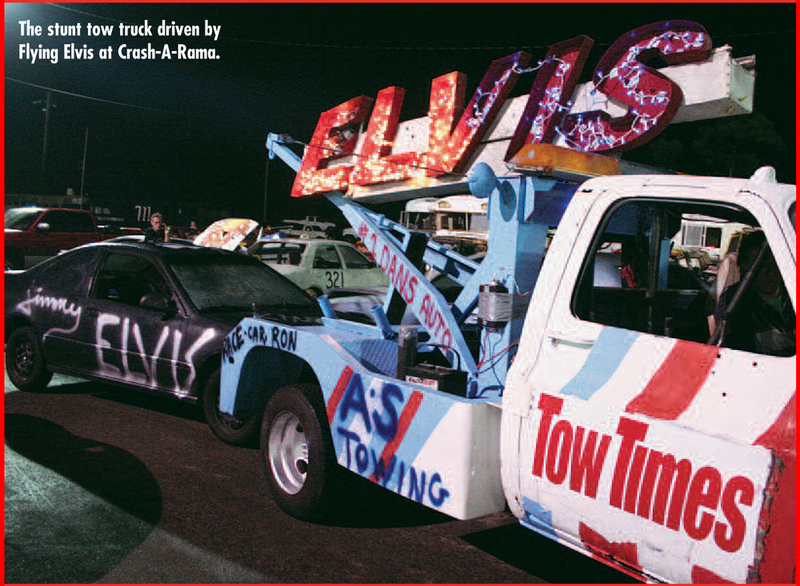 The CRASH-A-RAMA Series is featured in a two page article in this months Tow Times Magazine. Pick up a copy and read a little about are event. The article includes photos and info about Jimmy Elvis's Tow Truck Jump. Tow Times is a monthly magazine dedicated to helping towing company owners and managers throughout the United States, Canada and around the world run a more successful towing business. Each month, articles address challenges and opportunities facing today’s towing services and offer realistic solutions and strategies to immediately increase profits and streamline operations. Tow Times Covers all things towing from the biggest to the baddest trucks on the road. It's an honor for are show to be featured in the March 2011 Issue of Tow Times. A huge part of are show depends on the towing and hauling of vehicles to the tracks. A large amount of are events would not be possible with wrecker drivers. Older PostThe CRASH-A-RAMA Series will be Featured on "Only in America With Larry the Cable Guy"